On Sunday I had the privileged of being a guest naturalist with Classic Canadian Tours on a one day Polar Bear Safari out of Edmonton. We had a wonderful day with over 20 bears spotted, including several mothers with cubs. If you can only spare a day away from home over a weekend in October or November, I highly recommend these tours. 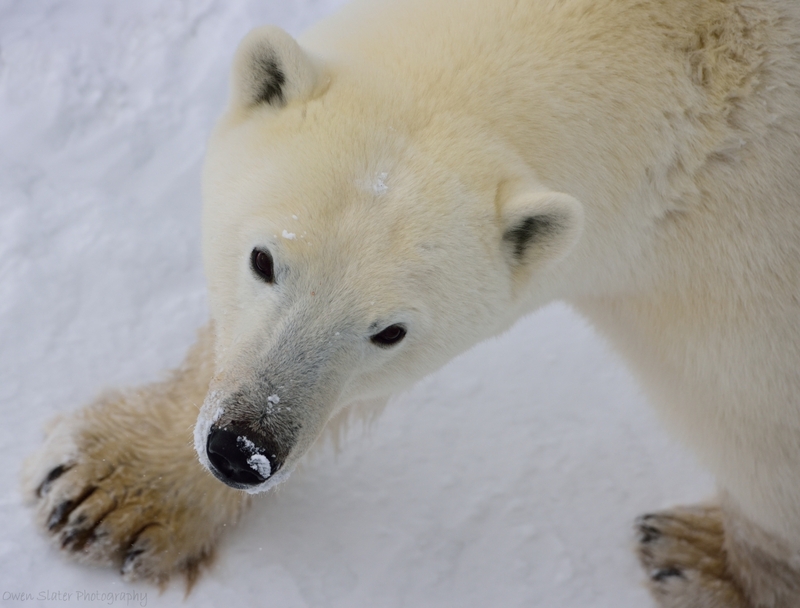 The chartered flight from either Calgary, Edmonton or Saskatoon will take you directly to Churchill and have you out on the tundra viewing polar bears by mid-morning until dusk! All meals are covered and there is even enough time to head into the town of Churchill to pick up a few souvenirs before heading home. Below are just a few photos (click on each one for a larger view) from our trip on November 9th as well as more details about the bears and the trip itself. Enjoy and feel free to leave comments. 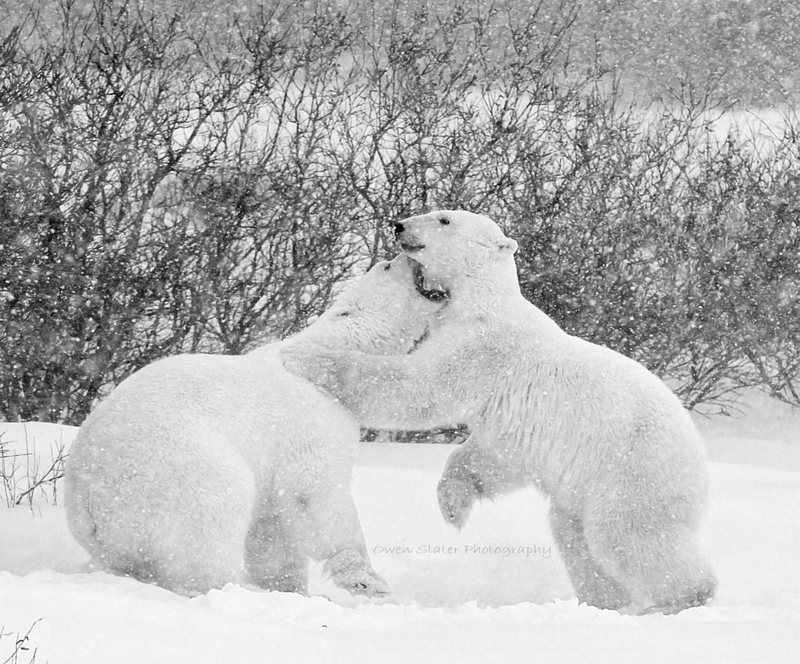 Polar bear sparring is a cold weather event. Only when temperatures get to around -10 degrees Celsius do the bears get frisky. Any warmer than that and they are too hot to play. Yes, you read that right! 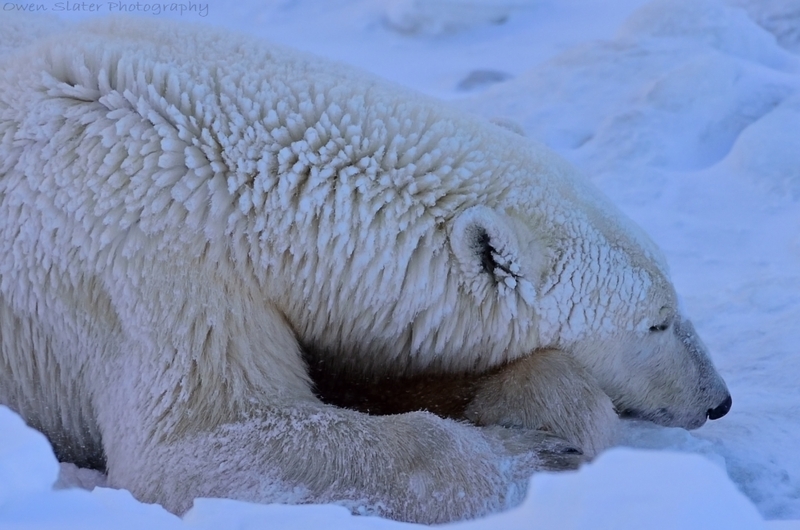 Polar bears are so well insulated against the cold that they only get active when the temperature dips to levels that would easily kill many other mammals. The above photo is of a mother (left) and her two year old cub that took a break from napping to spar during a winter snowstorm in Churchill, Manitoba. Up close and personal, this bear came to investigate our tundra buggy and provides a great example of just how big their feet are! Polar bears are great swimmers with these big feet and can easily outswim Olympic athletes. 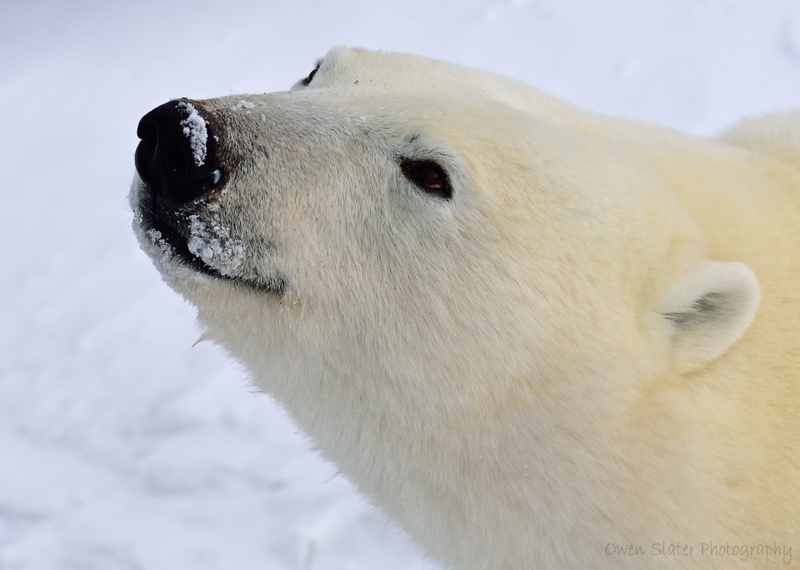 The longest swim ever recorded for a polar bear was 687km over 9 days straight! The female bear lost 22% over her body weight during that time. Polar bears have an amazing sense of smell which is needed to find seals under ice and scattered over large stretches of the arctic. This bear was catching our scent as it passed next to our buddy. 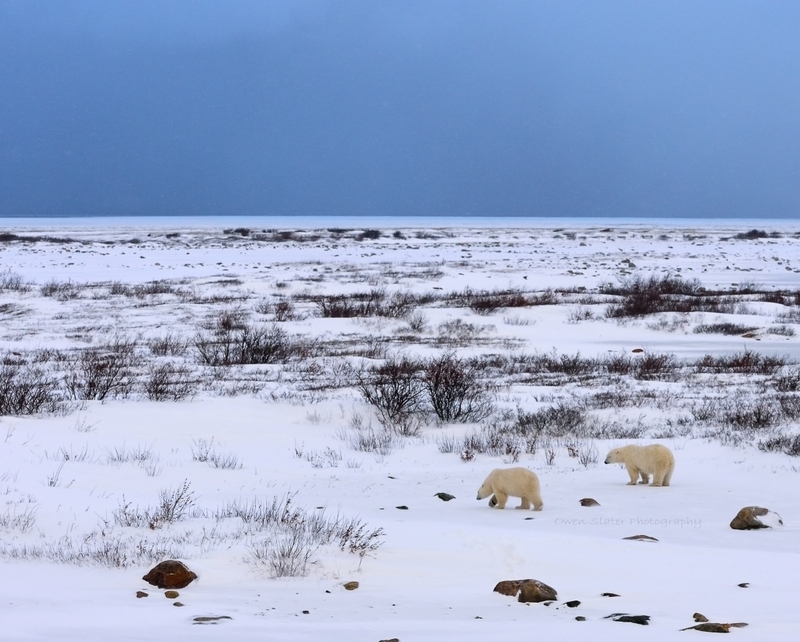 To cap off our wonderful day, these two bears started heading out towards Hudson Bay as another storm on the horizon moved in on us. Hard to believe you can wake up and see polar bears all day long and be back home in the comfort of your own bed the same night! If you would love to have an experience like this, check out Classic Canadian Tours website to get more details about this amazing safari and similar trips to see grizzly bears and beluga whales in other remote locations throughout Canada. Wondering what the bears are up to right now? Click on this link to watch live coverage from Churchill as the Tundra Buggy Cam gives you live streaming videos of the bears before they head out onto the ice to start hunting.